Millennials will make up 75% of the global workforce by 2025. This drastic shift in personnel is set to initiate major changes in recruitment and workplace practices across all industries. Many aviation employers severely underestimate millennials, but throughout their lifetime they have developed skills unique to their generation that could benefit the industry immensely. Millennials have grown up alongside technology, and can use it to achieve tasks that were thought impossible 20 years ago. They understand how effective technology can be both in the workplace and day-to-day life as they have been trained to use computers for data processing, communications and creative projects from a young age. Millennials are much more familiar with digital recruitment techniques than previous generations, posing a challenge for employers in aviation who often rely on traditional practices like face-to-face networking. Aviation recruiters and employers must adapt their recruitment strategies and job profiles to incorporate this digital knowledge to fully engage with millennial candidates. Millennials are the most dynamic generation in recent history. 59% of millennials live outside of their hometown, and over one-third have moved three times or more. With a limited number of training and operational centres on offer nationwide, this percentage is likely to be even higher for millennials in the aviation industry. 45% of people in this age group intend to stay with employers for less than two years. However, in a progressive industry like aviation, this nomadic lifestyle is extremely beneficial. 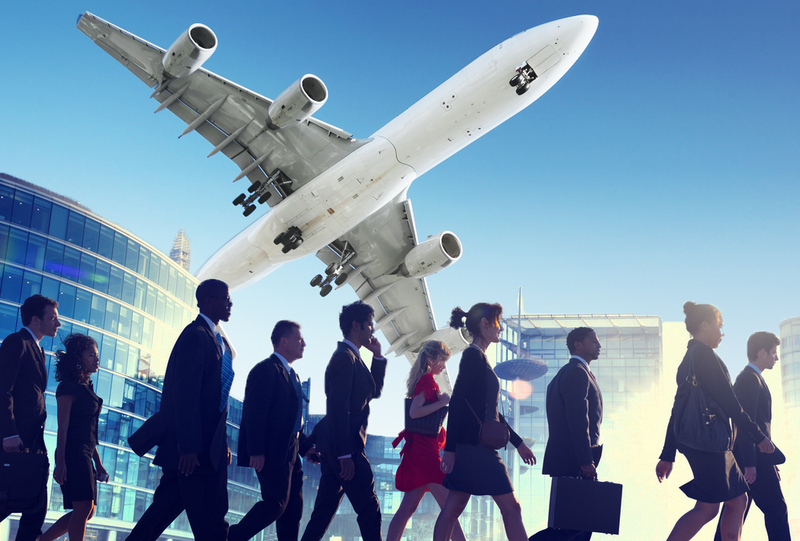 Instead of moving company, candidates may just relocate to another location with the same company, and if not, the aviation industry runs in a seasonal cycle so employers can easily hire new candidates. Millennials in aviation tend to be averse to micromanagement, but also shun adopting positions of control themselves. In fact, millennials rank control as 23% less important as peer cohesion. Having entered the aviation industry or relevant training during the financial crisis, they also take a more laid-back approach to remuneration. Over 60% of millennials don’t negotiate their salary when starting a new job, and the generation is the first in modern times that’s likely to earn less than their parents. Instead, millennials in aviation prioritise recognition for their work, and the ability to achieve a work-life balance. Millennials have been brought up in an age of convenience, which has given them a taste for instant gratification. In terms of working practices, millennials in aviation thrive on change, and value the timely completion of tasks that they’re allocated. They also demand more in terms of rewards and recognition — though not necessarily in a financial sense. Their tendency to know what they want and how to get it might be viewed as a ‘sense of entitlement’, though it also gives millennials an air of confidence that can be infectious in the workplace. Soon, baby boomers will hand over the reins of aviation to the millennial generation. But, by finding out more about what motivates them, you can get a head start in employing millennial candidates who can bring new versatility and energy to your company. Call on AeroProfessional to help adapt your recruitment strategy to get the most out of the millennial generation.